The Internet of Things ((IoT)) is a rapidly growing industry, with the number of connected devices forecast to grow to somewhere in the region of 50 billion by 2020, from 13 billion in 2015. With a vast array of applications including self-driving cars, smart metering and intelligent street lighting, the IoT is nothing short of a technological revolution and from an investment perspective, there’s enormous potential. One company at the forefront of this revolution is $390 million market cap, Telit Communications (TCM.LN) (OTCPK:TTCNF). In this article, I present a concise investment analysis of the IoT specialist. Telit Communications is a specialist in the IoT and the machine to machine (M2M) connectivity market, providing integrated end-to-end IoT solutions for corporates and enterprises. Telit’s IoT modules enable previously unconnected machines to be connected to the internet via cellular and short-range networks, and in conjunction with its services platform, Telit is able to feed data into apps or business systems to provide real-time intelligence to businesses across a broad range of industries. Telit currently has a 30% market share of the IoT module market according to the company’s own analysis of the industrial internet market, with its main competitors being Gemalto (OTCPK:GTOMY) and Sierra Wireless Inc. (NASDAQ:SWIR). The company generated revenue of $333.5 million last year, split between the Americas (40%), EMEA (40%) and the Asia Pacific region (20%). Telit has grown its revenue and earnings significantly over the last four years through a combination of organic growth and key acquisitions. Revenue has increased at a compounded annual growth rate (CAGR) of 17%, rising from $177.4 million in FY2011 to $333.5 million in FY2015. Earnings per share (EPS) in this time have increased at a formidable rate, rising from 4.5 cents per share to 21.7 cents per share, a CAGR of 48.2%. H1 2016 results published in August disappointed investors, as while revenue increased 6.3% on H1 2015, adjusted basic earnings per share fell 15% to 10.0 cents, down from 11.7 cents last year. The company has provided revenue guidance of $370 million to $375 million for the full year and advised that adjusted EPS are likely to be between 26 cents and 30 cents. On earnings of 26 cents per share, Telit trades on a forward-looking price to earnings (P/E) ratio of just 12.6, which is undoubtedly low for a company with such compelling growth prospects. Furthermore, with an estimated earnings growth rate of 19.8%, Telit’s price/earnings to growth (PEG) ratio is approximately 0.76 – a level that suggests the stock is undervalued. With Telit’s enterprise value (EV) to sales ratio standing at a level of around 1.2, the company appears to be trading cheaply on a variety of metrics. The recent drop in profitability was a result of a slower ramp-up of the company’s new LTE Cat-1 product line due to unexpected delays in US certification requirements. The certifications for these products are now in hand, and Telit is confident that the second half of 2016 will be much stronger than the first half of the year. Management has ‘skin in the game’ with Chief Executive Oozi Cats recently spending an additional £230,000 on Telit shares in September, taking his holding in the company to just north of 20%. Institutional shareholders including Morgan Stanley (NYSE:MS), Goldman Sachs (NYSE:GS) and Lazard (NYSE:LAZ) make up the majority of the remaining top 20 holdings. 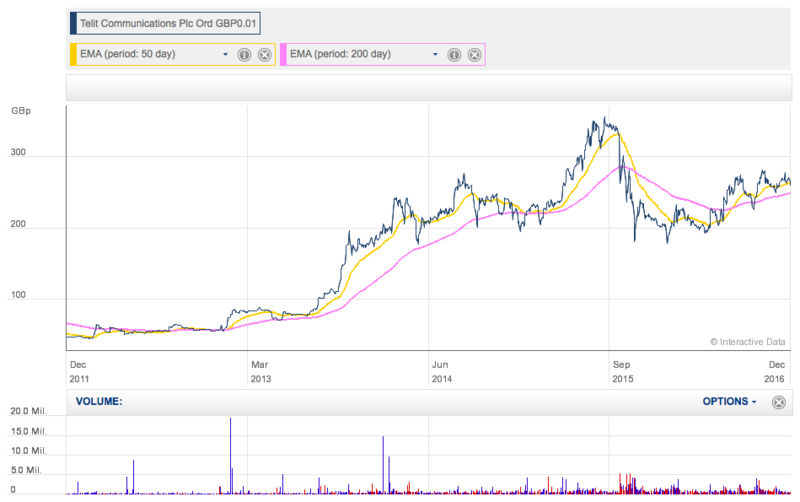 With a forward-looking P/E ratio of just 12.6, vs 15.4 for Gemalto and 29.2 for Sierra Wireless Inc., the company looks good value relative to its peers, and cheap for a technology stock operating in a fast growing industry that is set to grow at a CAGR of around 30% over the next five years. With H1 earnings disappointing the market, investors are clearly skeptical that Telit will be able to achieve its full year guidance. Indeed, the company will have its work cut out in H2 to maintain its recent record of double-digit top-line growth. 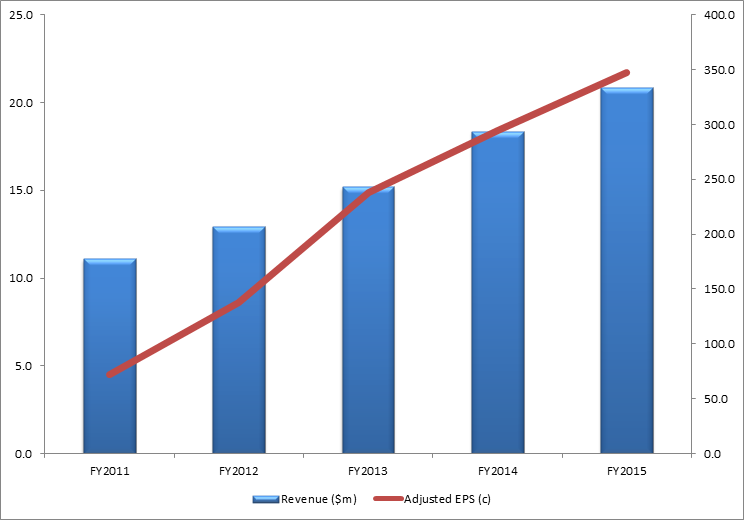 However, while there’s a possibility that earnings in the short term may narrowly miss estimates, I believe there’s a long-term growth story at play here, and as such, I’m looking at Telit with a three to five-year investment horizon. Investors have also been concerned about the continued capitalization of research and development (R&D) costs on the balance sheet. However, Telit capitalized 53% of gross R&D expenditure in H1 2016 vs 58% in H1 2015, and this downward trend should help mitigate investor concerns. Telit’s share price rose significantly between early 2013 and September 2015, gaining over 500% in this time before suffering a sizeable 50% correction in November last year. The fall was largely due to a cut in its revenue guidance for FY2015 as a result of US customers delaying their orders to wait for 4G LTE modules. A profit warning from rival Sierra Wireless late last year did not help the sentiment. However, after the market-wide volatility in January and February this year, Telit’s share price has recovered somewhat and now appears to be trending up again, with the stock’s 50-day exponential moving average (NYSEMKT:EMA) recently crossing above the 200-day EMA, signaling a resumption of the uptrend. With a strong record of generating revenue and earnings growth, I believe Telit Communications offers excellent exposure to the rapidly growing Internet of Things market, and after a significant share price correction, the company now offers a favourable risk/reward skew in my opinion. While there’s a possibility of a short-term earnings miss, I believe there’s a strong long-term growth story at play at Telit and that investors with a three to five-year investment time frame will be rewarded. Please note that the US OTC stock is thinly traded compared to the UK-listed stock. Disclosure: I am/we are long TTCNF. Additional disclosure: The author and some model portfolios at www.HedgedEquity.com have a long position in Telit Communications. The use of this article is for educational and informational purposes only. NOT investment advice. None of the material presented in this article should be construed as investment advice (neither direct, explicit, or implied). It is strongly suggested and recommend that you do your own due diligence and/or consult a qualified financial advisor for any investment advice based on your situation.